Even if you’ve never read one of his books, chances are you still know the name John Grisham. Many of his stories have been turned into feature films, with my favorite being the 1996 courtroom drama, A Time to Kill. 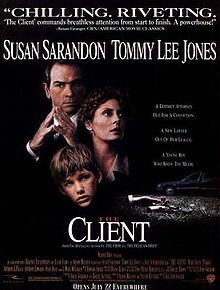 While that’s my own personal opinion, there are a lot of people who say that the best adaptation of a Grisham novel is the 1994 film, The Client. I remember watching this movie on t.v. when I was really young, and something about it really struck a cord in my brain making me remember it to this day. It’s finally time I revisited it and see if it’s held up after all these years. Mark Sway (Brad Renfro) and his little brother Ricky (David Speck) live a simple life in a trailer park by the woods. 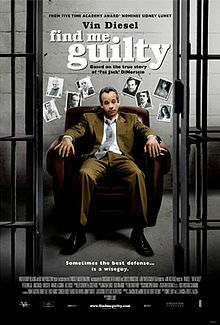 After sneaking in there to have cigarettes behind their mother’s (Mary-Louise Parker) back, the two boys witness the suicide by a mafia lawyer named Jerome “Romey” Clifford (Walter Olkewicz), but not before spilling the beans about his murderous client, Barry “The Blade” Muldanno (Anthony LaPaglia). This information makes the fame hungry federal attorney Roy Foltrigg (Tommy Lee Jones) anxious to get his hands on what the kid knows and lock Muldanno up for life, even if it means putting Sway in the sights of numerous mafia hitmen. 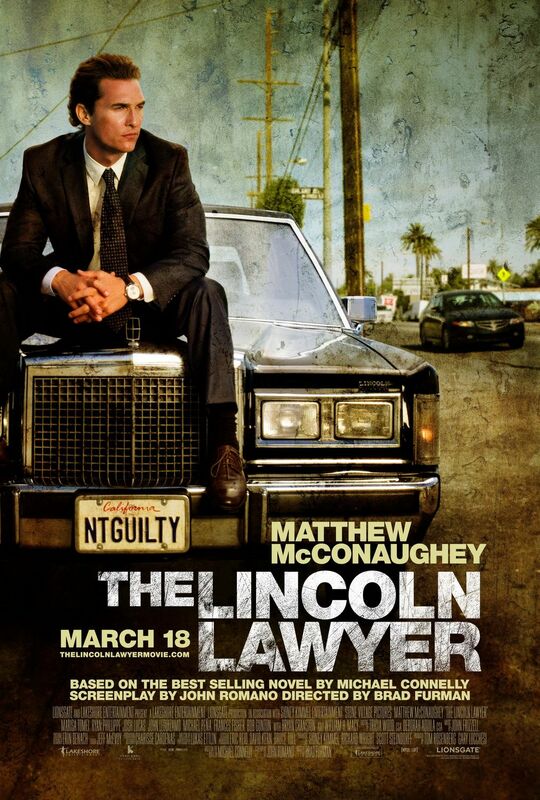 This prompts him to get a lawyer of his own, the inexperienced Reggie Love (Susan Sarandon), who treats Sway’s case with a special kind of attention and won’t stop until he is protected from both Foltrigg and Muldanno. This movie really has a recipe for success. Tommy Lee Jones and Susan Sarandon are enough of an acting force to push any story forward, but it also helps having a Grisham story and Joel Schumacher backing them up. Before anyone says anything, I realize Schumacher is responsible for Batman and Robin, but he’s also responsible for some great films like Phonebooth and Falling Down. This is a very well constructed and acted movie from everyone involved. 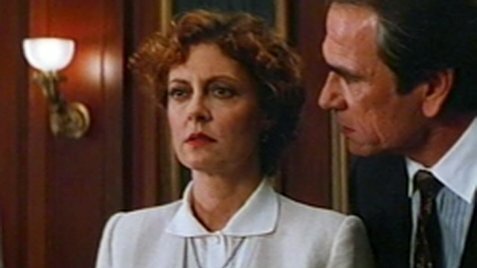 Sarandon was nominated for an Academy Award for her performance, but Tommy Lee Jones also has a lot of great scenes that showcases how smarmy his character really is. This is also the debut of Brad Renfro who stands up very well to his acting superiors, which makes it more unfortunate his career was cut short when he died at the age of 28. With all of these talents mixing together, I’m quite surprised that The Client isn’t as exciting or thrilling as it should have been. I went into this wanting to see a lot more of the legal procedures and the mafia getting involved, but there’s only one court room scene and the mafia villains are completely laughable. For someone nick named “The Blade,” I was surprised to see how much of a cartoon character he was. It got to the point where it was hard to be threatened by these Looney Toon mafiosos. One of the reasons I love A Time to Kill so much is because there are great courtroom scenes. The one in The Client works fine, but there just isn’t enough there to make it really exciting. The film instead seems to want to focus on the relationship between Reggie Love and Mark Sway. Since the attention is put on Brad Renfro’s and Susan Sarandon’s character, it’s important that they succeed in making their relationship interesting. At times, I feel like that’s the real crux of the movie. Sarandon’s character wants to have a connection with her estranged kids and Brad Renfro’s character wants to have a parent that can actually protect him. That’s where these two characters meet and find a special bond that makes their relationship interesting. There are times where this theme of needing some sort of connection is beat over the head, but it still works well enough and adds an extra layer to the movie. I had a bit of a hard time writing this review because I don’t really have a whole lot to say about The Client. The opening scene is one of the most intense and memorable intros to a movie I’ve ever seen, but from there it gets a little less than thrilling. What holds the movie up is the unique characters and an especially unique murder mystery that a child has now gotten mixed up in. If more attention was spent to actually making an exciting court drama with a touch of gangsters that weren’t cartoons, The Client would have certainly been a better movie. As it is, it’s a hard movie to talk about because it really is just ok. When you’re watching a movie, it’s pretty fair to expect a lot of different things to happen in the course of the running time, and for the events to play out in a number of different places. 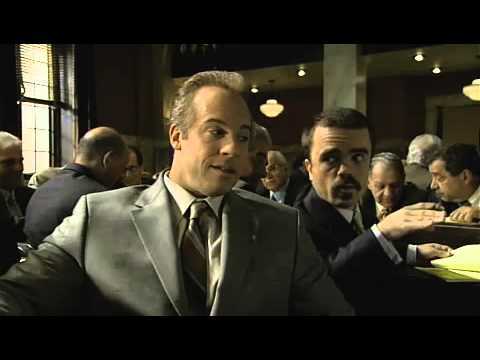 Well what if I were to tell you that one of the most widely praised films ever made, 12 Angry Men, takes place in one room and you never even know the names of the characters. Sounds like it would be hard to really get sucked into a movie like that, but if it weren’t possible, would this be said to be one of the objectively greatest films ever to be made? On the hottest day of the year, 12 New York City jurors are left with the task of deciding the fate of an 18 year old boy who allegedly stabbed his father to death. At first, the case seems pretty open and close and most of the jury, who want to get out of there as soon as possible, seem convinced that he is guilty. All but Juror #8 (Henry Fonda). While he doesn’t know for sure if the boy is guilty or innocent, he doesn’t believe that there shouldn’t be a discussion and that some of the evidence isn’t as concrete as everyone believes. As the afternoon progresses, and the discussions get more personal and heated, it becomes clear that this boy’s life is in the hands of flawed human beings who may let their prejudices take precedence over their judgement. The relationship between the actor and the screenplay are very tight and important to strengthen. The actors really depend on the screenplay to be well made and structured in order to give a believable performance, and vice versa for the screenplay. In my opinion, never has this relationship been more important to a movie’s success. Like I said before, save for a few brief scenes, this movie takes place all in one room with the main driving force of the story being the dialogue. There is no flashback to the murder or any other action to speak of. What really makes this work is the writing by Reginald Rose and the acting. Henry Fonda, Jack Warden, and Lee J. Cobb give especially good performances in roles that may seem a bit ahead of their time. Seeing that there are 12 men in the room, and since they are the only important characters in the film, it is important that nothing is shirked when it comes to sculpting their characters. Luckily, each and every one is molded perfectly and uniquely. Even though we just meet these people in the beginning of the movie where they’ve already lived their lives up until this point, I got the sense that I knew exactly who each man was. Again, there’s no flashbacks or elaborate stories explaining who they are. We learn about them gradually as the film goes on through small side conversations and their opinions on the case, especially concerning the boy’s innocence. 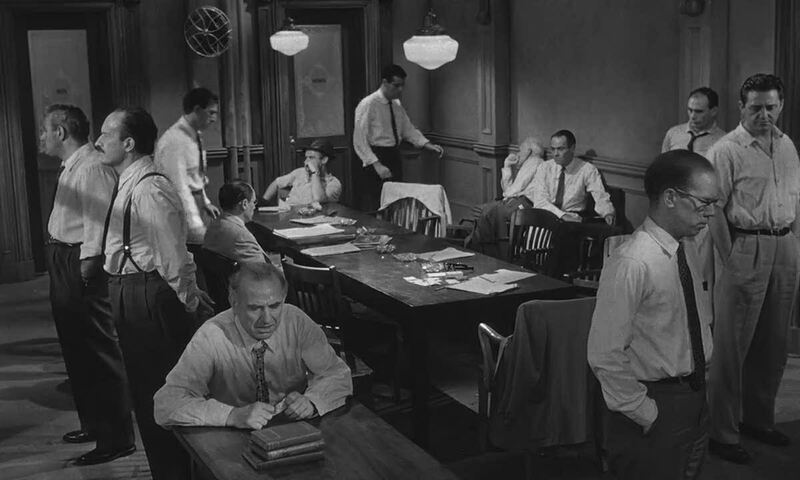 12 Angry Men is a thematic powerhouse, and is one that I could really discuss for hours on end. 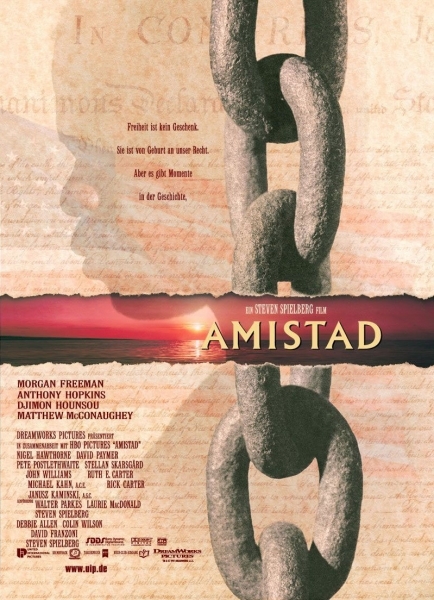 Everything from the flaws in the judicial system, social class, and prejudice are explored over the course of the movie. What’s also smart is that there isn’t a definite answer the questions and themes that this movie is bringing up. It wants the viewer to watch and analyze it for themselves, and then their opinions can be made. It doesn’t waste time spoon feeding you. 12 Angry Men truly is a remarkable movie. One thing I didn’t mention before is how the movie starts out in wide angle shots with plenty of room, and as it goes on, the shots get closer and more claustrophobic. Even the little details like that are important to the movie. The characters, acting, and writing are the true successes to this film and it has some pretty heavy questions that will make you think about yourself and your own beliefs. 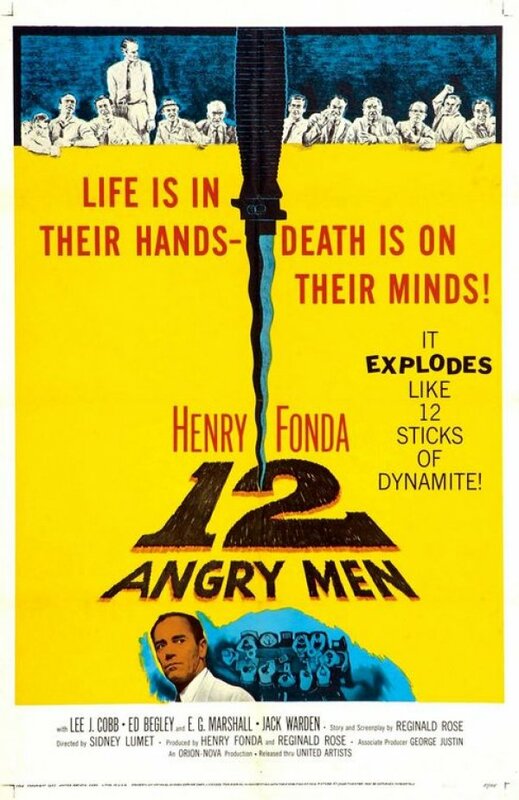 This film is a classic, and even if old movies aren’t your style, you should watch and be thrilled by 12 Angry Men. Believe in it or not, the concept of being possessed and needing some sort of holy man drive whatever all fiction has taken hold of your being is a pretty bizarre and terrifying. When The Exorcist was released in 1973, people were blown through the theatre walls and it was called one of, if not, the scariest films ever made. Now, it’s pretty much a guarantee that we will see an exorcism movie at least once a year. They have become a dime a dozen. In 2005, when The Exorcism of Emily Rose was released, this wasn’t yet the case, making this movie an original and surprisingly dramatic piece of film making about innocence, morality, and personal beliefs. Father Richard Moore (Tom Wilkinson) is charged with criminal negligence in the death of Emily Rose (Jennifer Carpenter), a nineteen year old girl believed to have been possessed and put under the care of Father Moore. Defending him is a rising star lawyer, Erin Bruner (Laura Linney), who is an agnostic who is only taking the job to get her name on the law firm and establish herself as an accomplished defense lawyer. Through a series of flashbacks and witness recounts, the story of Emily Rose is slowly put together, and Bruner’s beliefs are tested when what she thought was real melts away with this supernatural possibilities taking over her life. The first thing that really sticks out about The Exorcism of Emily Rose is the depth that this story is willing to go. The focal point of the story could have easily been the exorcism itself, and filled with really crazy exorcism scenes which would have helped in selling tickets and surging the audience’s adrenaline. Instead, Scott Derrikson chose to take a more dramatic approach which really forces the audiences to think about their own beliefs and open their minds up to greater possibilities than what they really think is true. The same thing can sort of be said about The Last Exorcism, but that movie got to be so overblown by the end, I wasn’t really doing any introspection. Still though, the scenes that did show Emily Rose and her possession were top notch horror. Jennifer Carpenter gives an absolutely outstanding performance both vocally and physically. A lot of the vocals are created in post production with audio layering, but when she contorts her body in all the crazy positions that we see, it’s just her. Even something as simple as a hand gesture is stiffened and gives off this really creepy vibe that is necessary in movies like this. 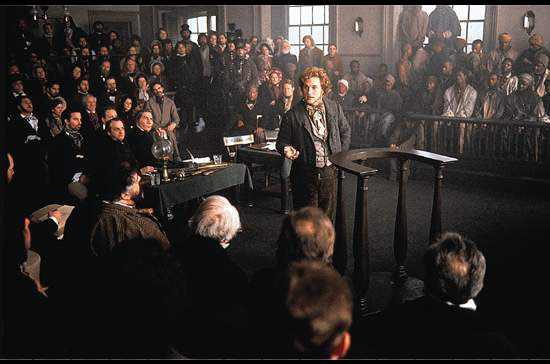 These scenes are also very important in ensuring that the more drama oriented court room scenes have some points of reference and really balance out the movie. 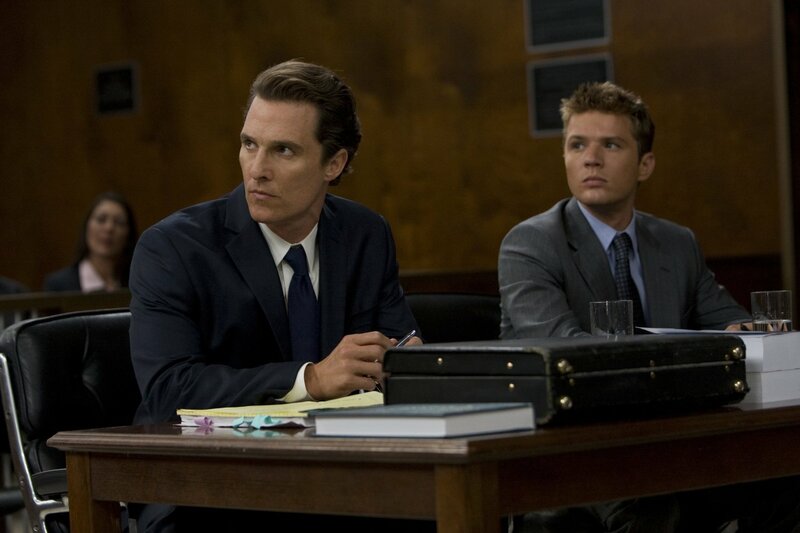 The scenes in the courtroom are also really good, but do suffer from some heavy handed dialogue and some acting that is just a little off from some of the more minor characters. Even some of the main characters like Bruner and Father Moore have some over the top dialogue that wouldn’t have worked if the actors saying them weren’t as serious and into their roles like Linney and Wilkinson. Hearing them sometimes would pull me out of the movie and make me think, “no one would actually say that.” What is cool about these scenes is that they don’t fall into pits of cliches and the proceedings can be pretty unpredictable. The ending is so unpredictable that I still don’t really buy it, and it would have been better for the writers to stick a bit closer to the actual history. 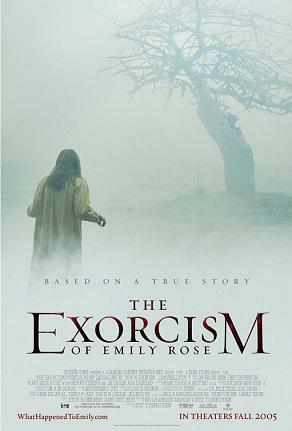 The Exorcism of Emily Rose wasn’t so much an entertaining movie as it was an intellectually engaging one. That seems sort of odd to say about a movie that is about an exorcism, but again, this was before the time that one was pretty much release every year. It’s more than just a courtroom drama and an exorcism movie. It’s a clever combination of the two that will force the viewer to look inside themselves and see what they actually believe. Any movie that can shake someone up so much has to be good, and that’s what this movie is. The Exorcism of Emily Rose is a genuinely good movie.